You might call it a more holistic approach to structural testing. 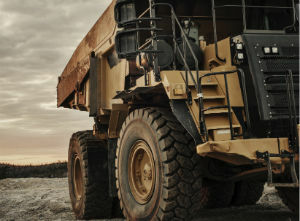 Faced with the challenge of testing a large and complex on‐highway vehicle, engineers from Integrated Test & Measurement knew it would take hundreds of channels of data to measure the loads the 38‐ton piece of equipment undergoes while in use. They further knew that their tests would be more efficient and reveal an even more accurate picture of the industrial unit at work if they could engineer a way to gather that data — more than 200 channels of accelerometer and strain gauge signals, plus speed and GPS metrics — all at once, allowing for complete synchronization. Synchronizing such a high channel count was a challenge for which ITM was perfectly fitted and the very reason the Milford, Ohio, firm was subcontracted by SixDOF Testing & Analysis, which was hired to validate the design of the multi‐million dollar piece of equipment. Using a combination of National Instruments hardware — chiefly the NI 9469 Sync Modules and NI cDAQ‐9188 Chassis — ITM Engineer Todd Holtkamp “daisy‐chained” six chassis loaded with NI accelerometer and strain gauge modules. In theory, the configuration would enable an at‐once gathering of all the channels, but only if ITM’s proprietary iTestSystem software and MultiDAQ Plug‐in could handle the flood of information. Once the instrumented operational and transport tests began, ITM’s software and plug‐in didn’t disappoint. It was the firm’s first in‐the‐field test to synchronize such a high channel count, and it performed precisely as they had hoped. 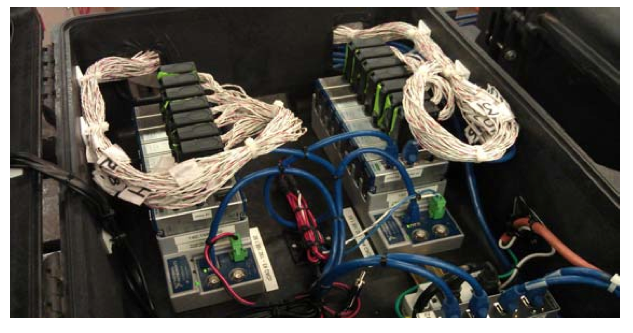 Even during the road tests — which required running all the test equipment from rechargeable batteries — Holtkamp was able to virtually look at every single channel from which they were gathering data to confirm they were getting good data. The real‐time monitoring of the tests impressed SixDOF Project Manager Garth Wiley. Wiley also stressed the importance of the high channel count ITM delivered. Synchronizing all the data, Wiley explained, not only saves the client time and resources — since they don’t have to tie up the equipment repeating multiple tests — but more importantly, it delivers better results. In the end, after about 10 days of data collection, ITM and SixDOF gathered around 20 gigabytes of information, which SixDOF then analyzed and ultimately delivered recommendations to the manufacturer for structural improvements.